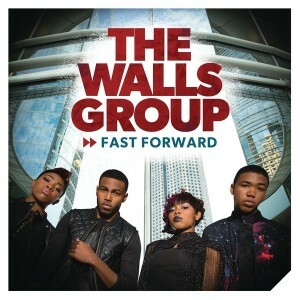 The Walls Group | Fast Forward - TheUrbanMusicScene.com | Music Reviews! When it comes to family affairs, gospel music has witnessed a great share yesterday and today. From the longevity of The WInans and The Clark Sisters to families who have recently made strides, including Forever Jones, nominated for two Dove Awards in 2011 and sister duo Mary Mary, who have carried the millennium on all Contemporary Gospel avenue, the industry can add a young quartet in the mix. Along with their YouTube a cappella videos, The Walls Group already had their feet in the door with their rendition of Kirk Franklin’s, “The Appeal” and a highly praised independent debut album in 2012. While the buzz was slowly building, fellow Houston, Texas native Franklin took special notice of the dual brother and dual sister act’s forthright messages, backed with their sweet praise and worship. Franklin then introduced The Walls Group to BET’s gospel showcase, Sunday Best, in 2013 as the inaugural signing to his Fo Yo Soul Recordings. Raised by two musicians, the quartet of Darrel, Rhea, Paco and Ahjah Wall’s seasoned lead voices and rich harmonies are blessing other families all over the U.S., and eventually heading on a brief tour of Norway and French Guiana later in 2014. Equipped to maneuver into R&B, hip-hop or pop, The Walls Group’ Fo Yo Soul debut, Fast Forward, offers their highly charting singles and a similar musical package they left off with in their independent release. “Love on the Radio” launches Fast Forward with a tight, rhythmic plea to share their sincere mission of Godly love, conveyed in a tongue in cheek manner: “Let me put some Walls in it.” The bouncy, ”Perfect People,” an illustration of coping through emotional wars, is completely stamped with that emphatic Kirk Franklin’esqe motivational message – think the Franklin crossover hit, “Smile”, from 2011. Many questions about basking in attitude and gratitude are on the table with “Satisfied:” “If my dreams never come true/Will I be satisfied with You?” Besides the established hits, there are a few tracks with great potential to receive serious praise radio play. Wrapped up in an intriguing concept, “God on My Mind,” featuring Brandy who shares one of her back-in-the day jams, “Always on My Mind,” seamlessly rides on a soft percussive, electronic soundtrack while giving praise to God as a master Creator. However, “High”, with another guest artist Lecrae, flounders unfairly with an overabundance of electronic vocal masking. Thankfully, “Big Brother,” that shows appreciation for God’s creation, extends a warm invitation with acoustic guitar and harmonica brushes. Through the minor warts, mostly due to production choices, Fast Forward is exactly the proper descript worthy of The Walls Group’s talent. In other words, their ministry equivocates another gospel family affair. Four and a half out of Five stars.